Chances are there’s a room in your home that contains a dangerous – even potentially deadly – piece of furniture. Dressers have posed a tip-over risk to small children for years, and now the results of a new investigation finds even more reason to be concerned. Every 17 minutes an unsecured piece of furniture, appliance or television tips over, injuring or killing someone in North America. Most victims are under the age of 6. During Consumer Reports’ ongoing investigation into the stability of dressers comes newly released U.S. government data that shows dressers 30 inches tall and under have been linked to deaths. “We found that just because a dresser is low and seems stable, like one that’s three drawers high, it can still pose a deadly tip-over risk to small children in your home,” said Rachel Rabkin Peachman, Consumer Reports special projects editor. Records released in June showed at least five fatal tip-overs linked to dressers that measured 30 inches or lower. 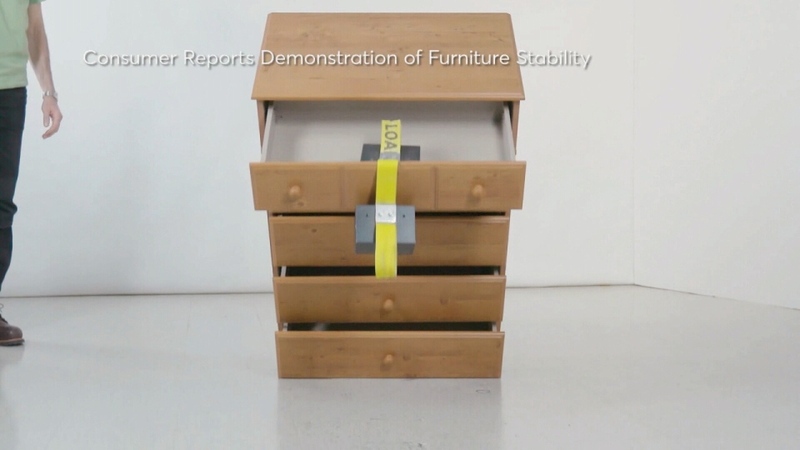 Consumer Reports conducted three tip-over tests on 17 dresser models marketed as measuring 30 inches tall and under, to see if they are prone to tipping over. Only five of the dressers passed all of CR’s tests, including the $150 IKEA NORDLI, showing that a stable, affordable dresser at this height is possible. 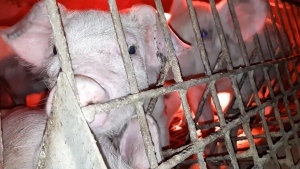 “Companies have the ability to do something about this epidemic. We’ve found that it is possible to build more stable dressers of any height. And our findings highlight the need for strong safety standards for all dressers, not just taller ones,” said Peachman. Consumer Reports is pushing for mandatory safety standards for dressers of all size. Until then, it’s a good idea to make sure all furniture is properly anchored to the wall. Click here for a video of how to do that.